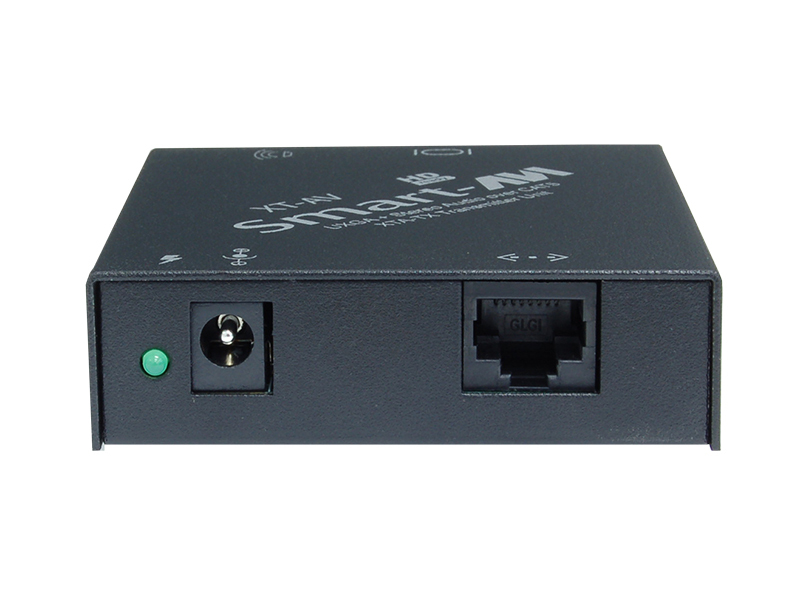 SmartAVI's XT-AV offers HD VGA video and audio signal extension up to 1000 feet via a single Category 5 Unshielded Twisted Pair (UTP) cable. 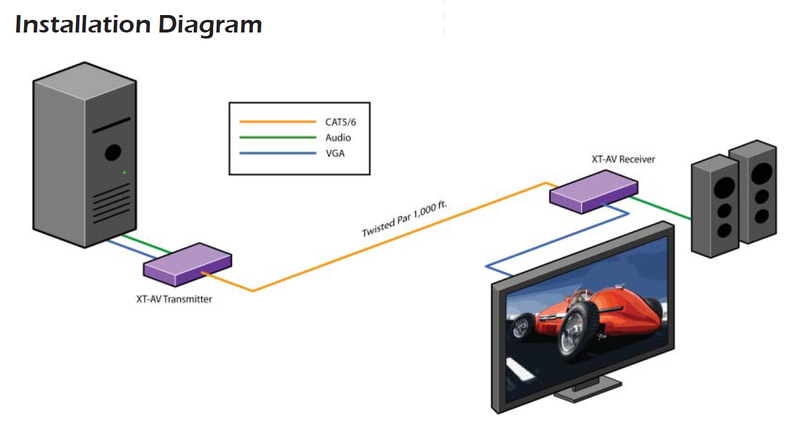 Powerful, Cost-Effective VGA Extension Solution The XT-AV is composed of both a transmitter (TX) and receiver (RX) unit, which grants the system up to 1000 feet of perfect HD signal extension between source and display devices. Better yet, XT-AV's economical CAT5 UTP cabling ensures users AV set-ups remain wallet-friendly without loss in quality or performance. 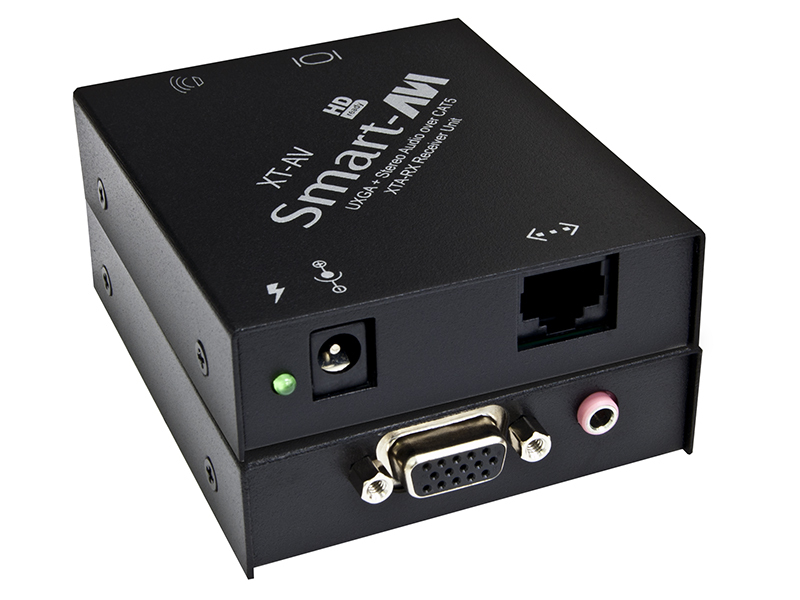 Extension in Any Environment The XT-AV is a plug-and-play system that is easily integrated into any AV set-up; no technical skill required! It excels in airports, retail spaces, schools, hospitals, office buildings, entertainment venues, and more! 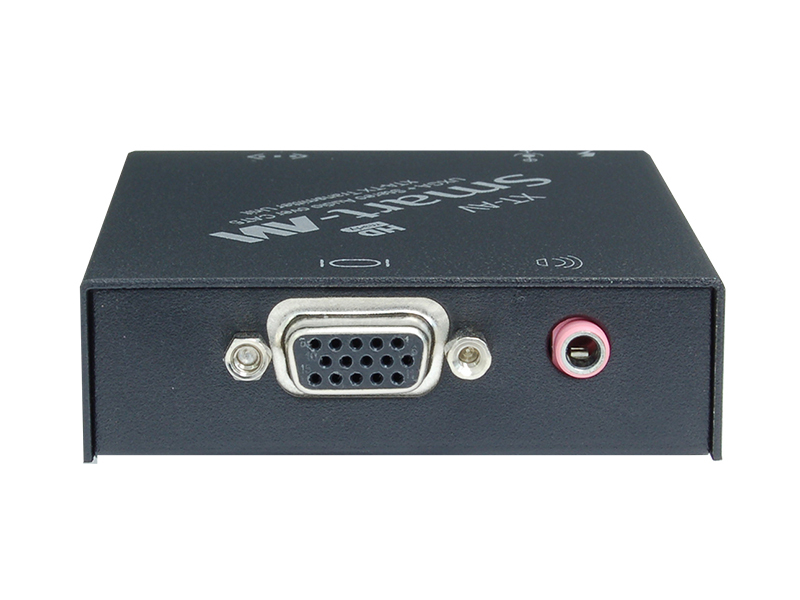 Presentations The XT-AV series enhances any presentation from commercial products to corporate financial data. It can be used in show rooms, board rooms, trade shows and window displays. Data Broadcasting Data such as news, stock prices, sports results, and flight information can be broadcast in real time to various monitors. Learning and Training XT-AV can be used in educational presentations to multiple locations, in schools and in other training facilities.